Whitewash is an old-fashioned paint substance that is safe to use in animal enclosures. It was used initially on the first White House and has been a part of traditional painting practices for generations. It is primarily made of lime that is hydrated, although there are other additives that will enhance adhesion and improve the life of the whitewash. It is still commonly used today, especially on the farm. All the ingredients are easy to acquire, and it is a cheap alternative to regular paints. You can even add Portland cement to the mixture if you want even more durability. Put on glove and a dust mask to keep from inhaling the lime. Lime is not toxic to animals or humans, but the fine particles can irritate the lungs and skin. The lime whitewash repels insects, seals surfaces and dries to a bright finish that illuminates dark corners. Lime is just finely ground limestone. Pour the 12 pounds of salt, 6 ounces alum and 1 quart of light molasses, and add 1.5 gallons of water into one of the 5-gallon buckets and stir until well incorporated. Alum is common potash aluminum. The molasses must be unsulfured and natural. You can use warm or cold water, but warm water may make it easier to incorporate the ingredients. Mix together the 50 pounds of lime and 5 gallons of hot water. It will be hard to get it going at first because of the volume. To make it easier to stir, add 1/4 of each item at a time and then stir in between additions. Once the mixture is incorporated evenly, let it stand for 12 hours. Add the salt, alum and molasses mixture to the lime slurry and mix together. The result should be of brush-able consistency. If it is not, add enough water until the mix can coat a paintbrush. You may tint the whitewash if you wish to have colored paint. Add 2 ounces of sodium chloride to every gallon of whitewash. This is optional, but it will help the paint stick to the surface. 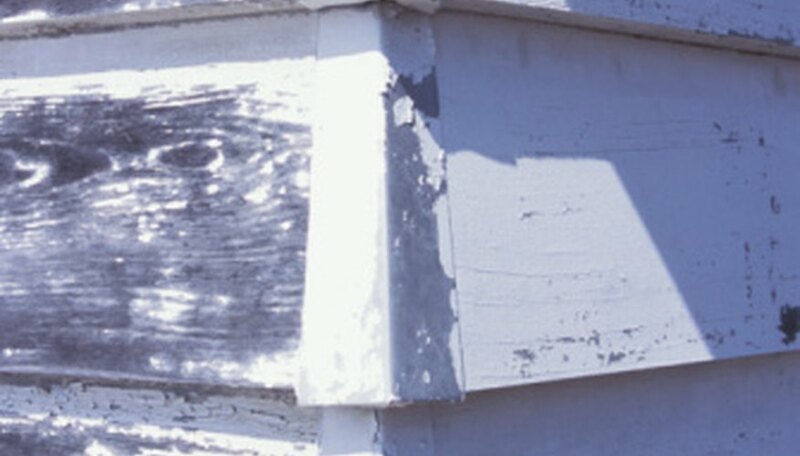 Often, whitewash will peel or crack shortly after it dries, and the sodium chloride will help it keep from shriveling and adhere to the building. The whitewash recipe from the United States Lighthouse Board states that you need to strain the lime. If it is chunky after you have mixed it, you can do so, but wait until after it sits for 12 hours. It will undoubtedly soften out any pieces while it sits.